Players can choose to join one of three different Teams in Pokémon Go. 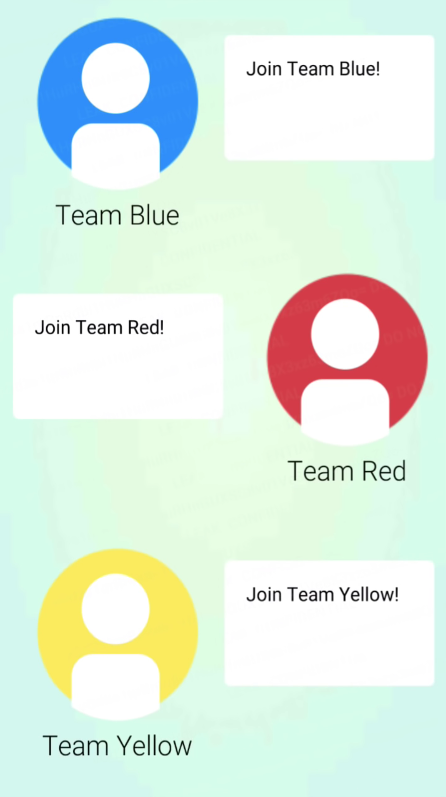 The options are Team Mystic (Blue), Team Valor (Red) or Team Instinct (Yellow). Players of the same Team will need to work together in order to capture and defend Gyms. If you have not yet picked a Team, simply visit a Gym. 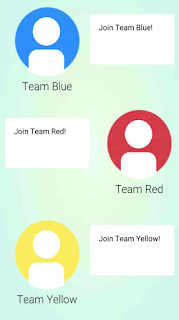 Upon interacting with the Gym, the option to join a Team will become available to you. Quick Tip: If playing with friends or a group of friends try to all join the same Team so you can battle against other Teams together. A controlled Gym will be the color of the Team that owns it. For example, if you see a Yellow Gym marker on the map, it is owned by the Yellow Team. Neutral (unowned) Gyms will be the color Gray. Gyms that share the same color as your Team are 'Friendly Gyms'. Gyms that have one of the other two Team colors are 'Enemy Gyms'. Players can choose to Battle at Enemy Gyms solo or with other members of their Team. The goal is to reduce the Prestige of Enemy Gyms by defeating the defending Pokémon at these Gyms. When enough Prestige is lost by a Gym it will become Neutral. At this point, any player can capture this Gym for their Team. Players will want to place Pokémon at Friendly Gyms to help defend against opposing Teams. The higher Level a Gym, the more defending Pokémon slots it will have. Trainers can battle friendly Pokémon at Gyms (also known as Training) to help gain Prestige for their Gym. Working together as a Team, players will want to try and build the greatest Pokémon defense possible to protect and hold Gyms. Are there any differences (strengths, weaknesses) between the three teams? Instinct (Yellow): You feel that Pokemon are innately talented. Pokemon caught in the wild and hatched from eggs are more powerful than normal. Valor (Red): You have to train to be the best. You train at gyms more efficiently. I'm team blue, so I can't really confirm this. Just the rumor I've heard. In Jacksonville, Fl there is a team purple. This had very confused because I know there were only 3 colors offered to me. So I thought ok maybe it's something wrong with my eyes. But when I got there, sure enough it was purple and I could only fight at the gym. Can anyone else confirm they have different colors in there city? I also found my team color blue, I found red, yellow, but also purple.